Nollywood news + Naija Gist | Yoruba movies, Naijagist, Nigerian music, Naija news, Nigerian movies: How Yvonne Jegede had fibroid during pregnancy and miracle happened! How Yvonne Jegede had fibroid during pregnancy and miracle happened! 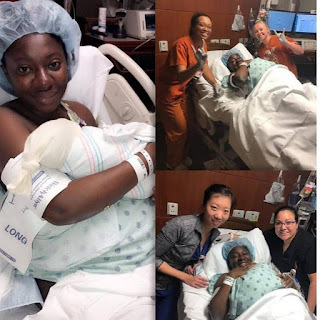 Actress Yvonne Jegede Fawole who recently welcomed a baby boy with her husband has hared her testimony of how doctors wrote her pregnancy off due to fibroid but she still had her baby. Congrats to her. See what she wrote below..
"A 5 month's when the doctor said my baby won't see past 2nd trimester due to fibroid."